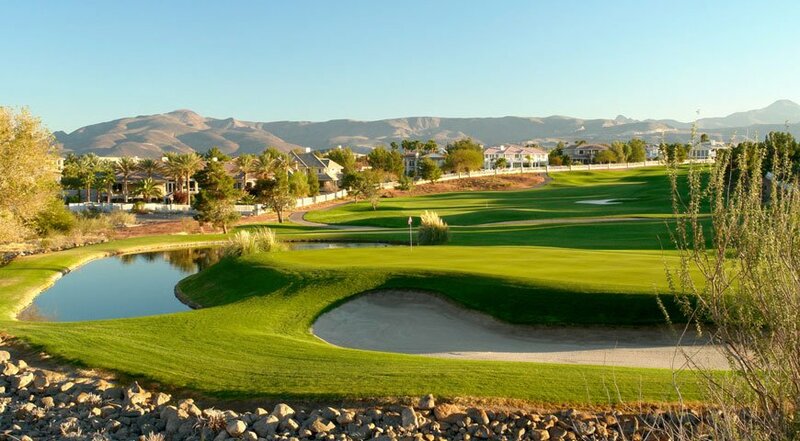 Just 10 min from the Las Vegas Strip, The Legacy GC boasts a Arthur Hills-design ranked as a Top 10 in NV & has hosted US Open Qualifying events, AJGA & more! Our staff at The Legacy would like to thank all of the Las Vegas Corporate Invitational participants! Great event on a beautiful day! Join us this Sunday for St. Patty’s day and get your green on! Also come join us for breakfast and watch the sun rise! New grill hours are 7-4 Monday-Thursday and open till 5pm Friday-Sunday ! Come play The Legacy and check out our new spring apparel! The course is in great shape!! Legacy Golf Club features arguably the most memorable, truly “Vegas” hole in this whole Las Vegas golf region. The par 3, 10th hole at Legacy features each tee box molded into the earth as a deck of cards. The suits hole not only is something to write home about, but it also provides challenge and shot values as desert area and strategically-placed bunkers guard the green. Overall, Legacy Golf Club is a favorite of visiting and local Las Vegas golfers. 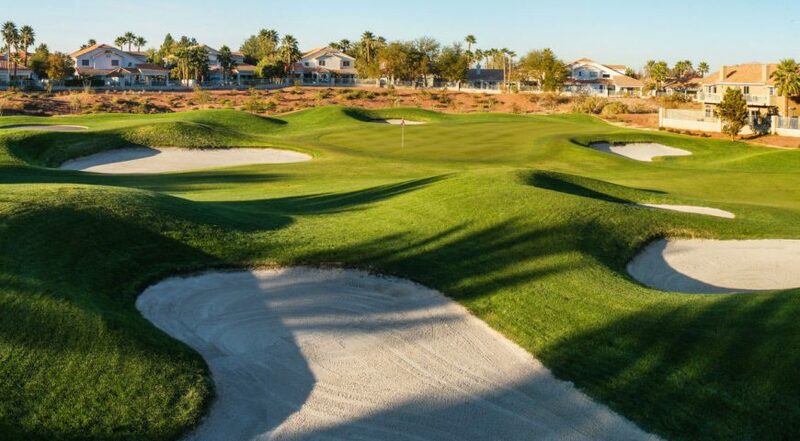 Located about 15 minutes from the Las Vegas Strip—and a very easy freeway trip—the Legacy is an Arthur Hills course that measures par 72, 7,233 yards from the tips, but most golfers prefer with the blue or white tees at 6,744 yards or 6,211 yards. The forward tees measure 5,340 yards. The Legacy is under new ownership and a rejuvenation is underway and golfers are appreciating it and enjoying a new shine on the Vegas legend. “Really liked the layout and course condition. The staff was wonderful.” Wrote a Clint C. in February 2019. Legacy is located in the heart of Green Valley, a master-planned community located in Henderson, a suburb of Las Vegas. Opened in 1989, Legacy has always been one of the most popular courses in the area and has hosted American Junior Golf Association tournaments (including a year when Tiger Woods played) and U.S. Open qualifying tournaments. The Legacy, a links-style course that winds through several upscale neighborhoods. Besides the suits hole, another memorable series of holes is the “The Devil’s Triangle”. It begins with the long par 4, 444-yard, 11th hole and culminates with the potentially drivable able par 4, 324-yard, 13th hole that is played to a small green guarded by an arroyo to the left and bunkers in front and right. A birdie or triple bogey are both in play on this dastardly and tantalizing hole. Sandwiched between 11 and 13 is the par 4, 381-yard, 12th, a dogleg left that offers big hitters a chance to cut the corner and shorten the hole. Onsite is a large driving range and practice area featuring a large putting green and practice bunker. Events, weddings and tournaments are always welcome at Legacy. Helping reopen the course and oversee the renovation process was Elite Golf management group.